JOIN OUR DENTAL FAMILY! REQUEST AN APPOINTMENT TODAY! As a dentist in Roseville, CA, we are committed to providing you and your family with the highest quality dental care in a relaxing and friendly environment. The moment you walk through the door, you can trust your comfort and care to our knowledgeable staff. Our focus is our patients’ peace of mind and satisfaction. Dr. Pan combines his expertise, technical precision and his joy of delivering a more compassionate style of dentistry. You will receive the professionalism and attention that each unique patient deserves. Your visit with Dr. Pan will allow you to relax with confidence knowing his top priority is your individual dental health, you don't have to take our word for it, take a look at our rave reviews!. If you are one of 120 million Americans that are missing one or more teeth, you have found your home! Dr. Pan offers a full range of options to restore your smile. Using the latest technology and highest quality materials, Dr. Pan offers Bridges, dentures, and specializes in Dental Implants and CEREC Crowns. We offer patients a comprehensive list of general, restorative and cosmetic dental services designed to meet the needs of the entire family. Our goal is to assist each of our patients in achieving and maintaining long term dental health and an attractive smile. 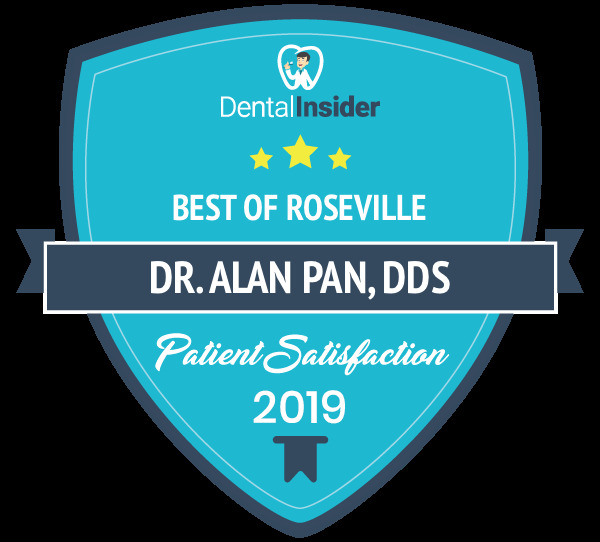 Dr. Pan has been a local of Roseville since 2004, and has been serving the areas of Roseville, Rocklin, Granite Bay, Folsom, Citrus Heights, and Orangevale ever since! Dr. Alan C. Pan, DDS from Futuredontics, Inc. on Vimeo. We are excited to now offer the Chao Pinhole® Surgical Technique. Dental care can be costly; keeping your teeth healthy is priceless. Ask about our in-house dental plan and our referral reward program. Also don't forget to check out the specials that we offer! We care about your oral health. Explore our website to learn more information about appointments & payment options as well as find answers to frequently asked questions, fill out new patient forms & more. We also maintain a blog, in which we go more in depth on topics such as gum health and whitening options! Come in, meet us and be part of our dental family!